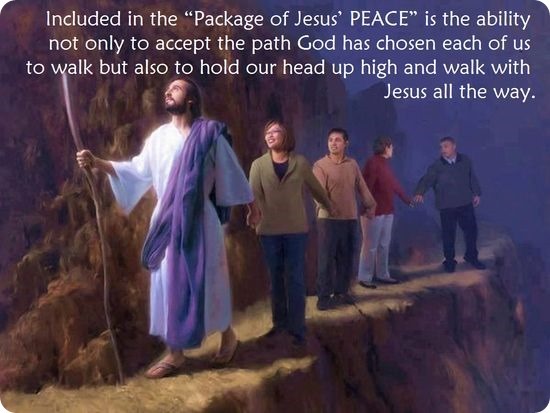 Included in the “Package of Jesus’ PEACE” is the ability not only to accept the path God has chosen each of us to walk but also to hold our head up high and walk with Jesus all the way. The path I walk includes artificial hips, a troubled heart, and pulmonary fibrosis therefore I live my life empowered by the sufficiency of Jesus accordingly. A person living their life in the PEACE and sufficiency of Jesus will never be handicapped.